How does running in an urban environment differ from running in a rural one, and, how can this stripped-back mode of transport help us explore a city? AM:PM.RC is a local running crew bursting at the seams with creative people who love to collaborate, learn and explore the city we live in and love through running. The crew is made of professionals in many creative industries, including architecture, planning, industrial design, photography, psychology, fashion, art, accounting and more. This interactive, multi-layered event will begin with a participatory panel discussion about running in the city, with members of AM:PM.RC sharing perspectives and inviting questions from the audience. Next up, a group warm-up routine—soundtracked by AM:PM.RC’s own Alexandra Kovac—before lacing up and heading out into the city for a 30-minute run* and to process the discussion as both an immediate demonstration of the theory and rhetoric, and as a moving venue to progress the ideas discussed in the panel. 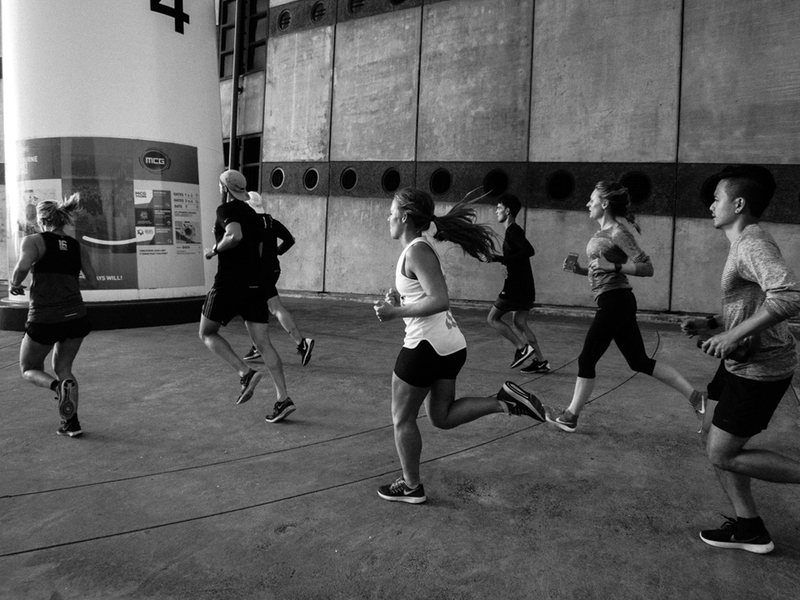 The run will end back at MPavilion, with a warm-down again soundtracked by Alexandra Kovac. Come along and bring your friends—and don’t forget your running shoes! *All welcome: If you do not wish to participate in the run, hang back at MPavilion and enjoy the music with a cold drink!